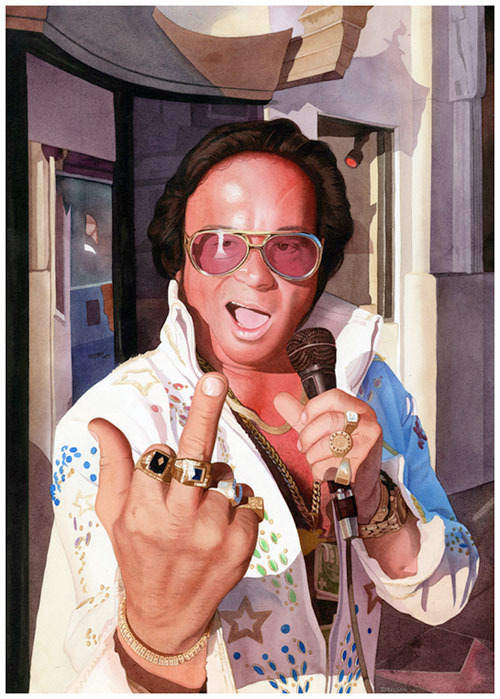 Recent Art Center graduate Eric Davison has a show at Le Basse projects in Culver City. 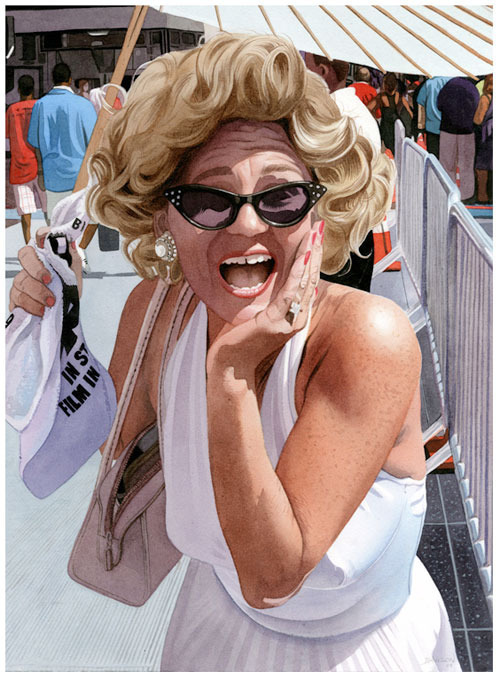 Eric has done some beautiful watercolor portraits of the celebrity look-alikes that hang around the Chinese Theatre on Hollywood Blvd. 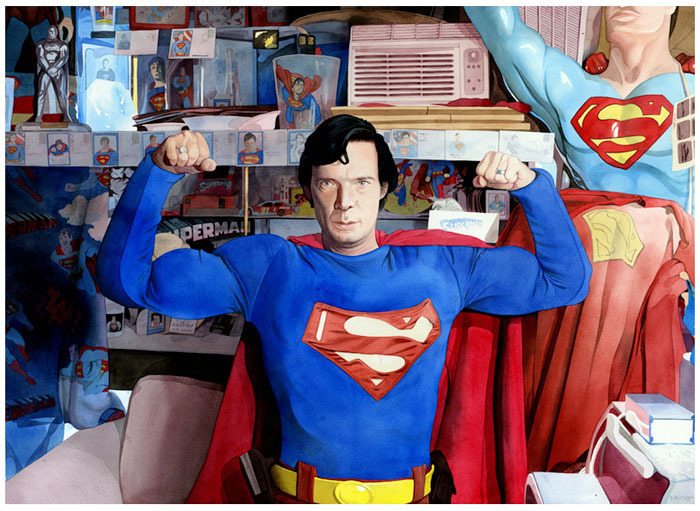 He visited Superman in his memorabilia- filled apartment for the piece shown above. WOW. What a painter - great work! Oh man, this work is great! These are great. Have you seen the documentary CONFESSIONS OF A SUPERHERO about a few of the people who pose for photos in costume on Hollywood Boulevard? 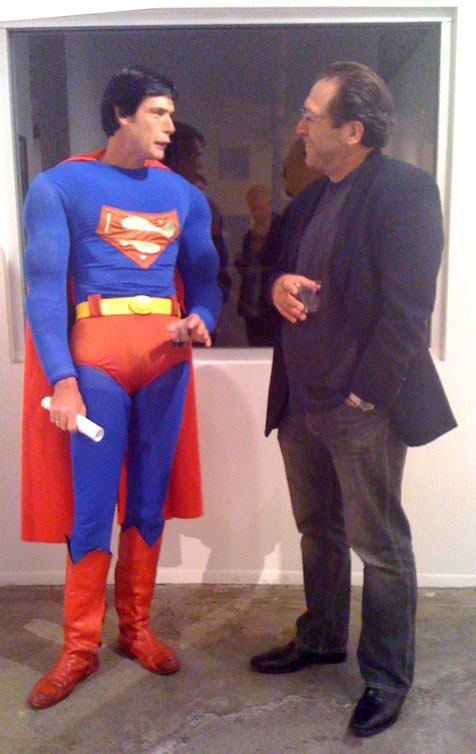 Superman claims to be Sandy Dennis' son. The guy can splash down some serious watercolor. Amazing craftsmanship. As the word I had to type to post this "finewave".